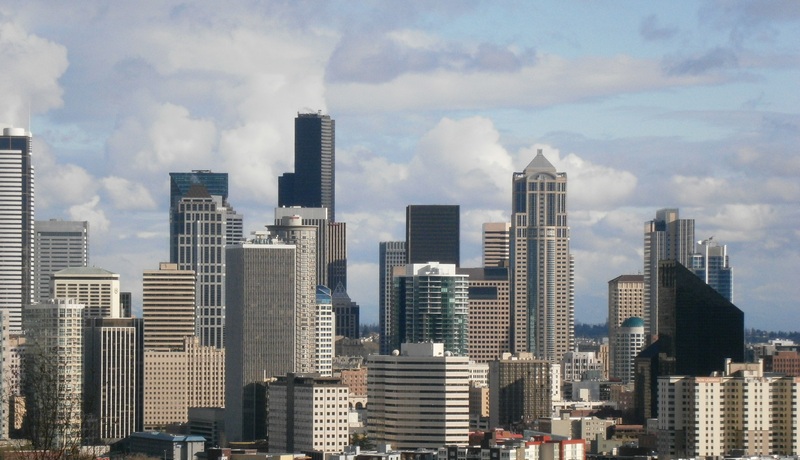 People say Seattle once had seven hills. One is now missing: Denny Hill. In 1897, city designers decided they’d had enough. And over the next 14 years, they shoved the whole thing into Elliott Bay. 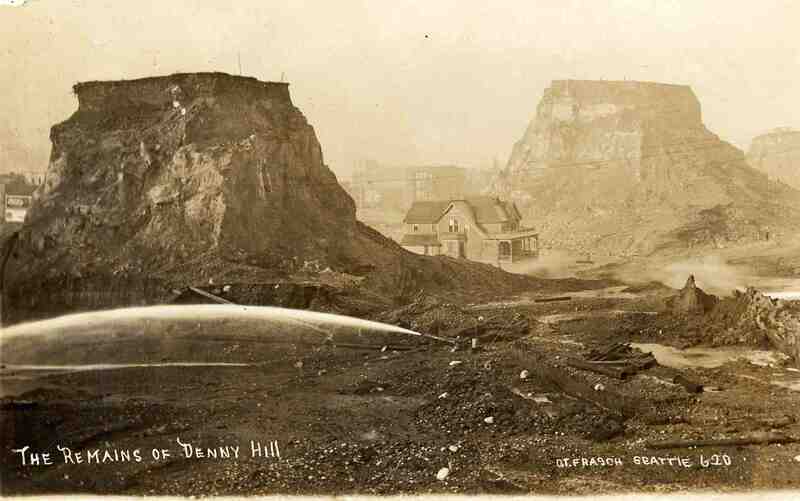 The project passed into history as the Denny Regrade. One hundred years after the first stage was completed, I climbed what remained of Denny Hill and took a picture of the Seattle I know. I don’t know if anything is as wondrous as the modern city. A landscape sculpted from steel and bedrock. In it, I see the imagination made real. Look what we’re capable of. All these fantasies come true. And then the people stream in. Nameless and unknown to one another. If we can remake the environment, why not our lives? Our identities? Our names? That’s what we come for. We drift over the sidewalks in search of it. Press through revolving doors that reflect our faces back to us. Step into the elevators and push a button and wait to emerge somewhere with a view. In a space that was born from a man’s mind.